Our goal is to provide you with the knowledge and skills necessary to enjoy the underwater world safely and comfortably as a well-trained, certified freediver. Kona Freedivers specializes in the highest level of training available in the Kailua-Kona, HI, area, with expert instructors trained by the best freedivers in the world. Learn how to freedive with us for an underwater experience that will last a life time. 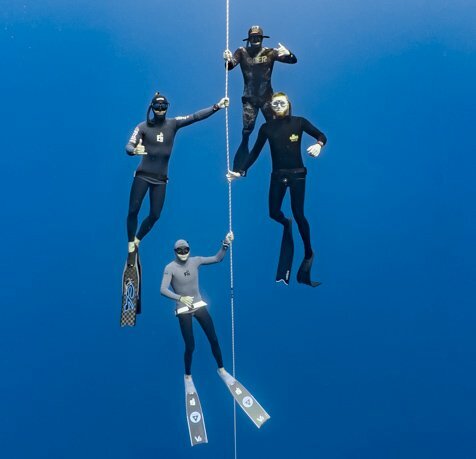 We have a friendly, knowledgeable crew of professional instructors on hand to guide you through your freediving journey...one breath at a time! Call Kona Freedivers to schedule your freediving course now.